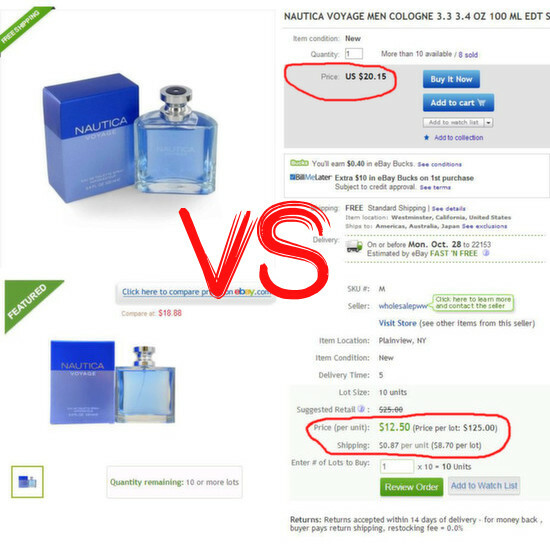 What’s The Deal With eBay Wholesale Deals? Another marketplace selling knockoffs and generic crap? Around June of last year, eBay started opening the doors to a new selling platform exclusively for wholesale called eBay Wholesale Deals. At the time, they were only inviting select Top Rated Sellers to participate. They had a whole screening process involved to ensure that they only had legitimate wholesalers and not a bunch of middlemen like some other sites. So far, access to the Wholesale Deals platform has been on an invitation only basis. Well, I finally got my invitation code and wanted to share a little bit of my personal insight into the fairly new site. 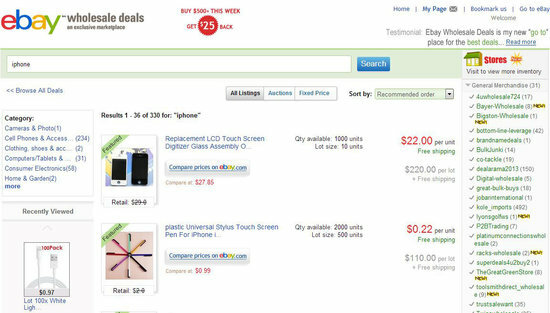 WHAT EXACTLY IS EBAY WHOLESALE DEALS? eBay Wholesale Deals is an exclusive B2B marketplace that connects qualified wholesalers (brands, manufacturers, retailers, distributors, liquidators etc.) to qualified resellers (eBay’s top US sellers and others). Just from looking at the site, the best way to describe it is eBay’s version of Alibaba/Aliexpress or DHGate. You can buy small lots, so you don’t have to invest a bunch of money to source your products. It’s a similar model to the one World Wide Brands promotes for the companies they deal with. One of the most notable points about the EWD is that they are not offering their Buyer Protection program or PayPal Protection for transactions. In other words, eBay is taking a more “hands-off” approach for this program at least for now. 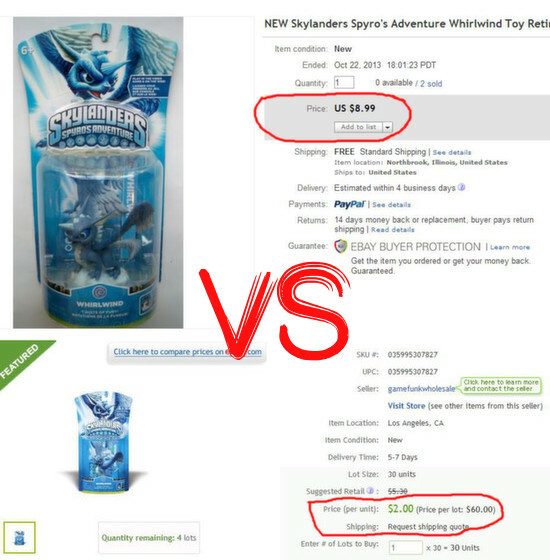 With transactions on regular eBay, one of the biggest complaints from sellers (myself included) was that eBay would almost always side in favor of the buyer with disputes. Well ask and you shall receive. Now it looks as though eBay is leaving all disputes up to the buyer and wholesaler to resolve. Refunds and Returns policies are as listed by the wholesaler on the FAQ’s on their profile page. To visit the wholesaler’s profile please click on the wholesaler’s user id on the listing. I think that by having a more selective process for allowing people to sell on the new marketplace, eBay is hoping that there will be fewer scammers on the site which would decrease the need for their intervention. They only allowed qualified Top Rated Sellers to sell on the site and you have to fill out a form to apply. What’s my opinion? eBay is eventually going to have to come up with some way to regulate what goes on. There are plenty of Top Rated Sellers that will screw people over just as quickly as someone with 0 feedback, and it won’t take long for them to start taking advantage of this more liberal or basically non-existent policy for buyers. Well that depends on what your definition of good is. 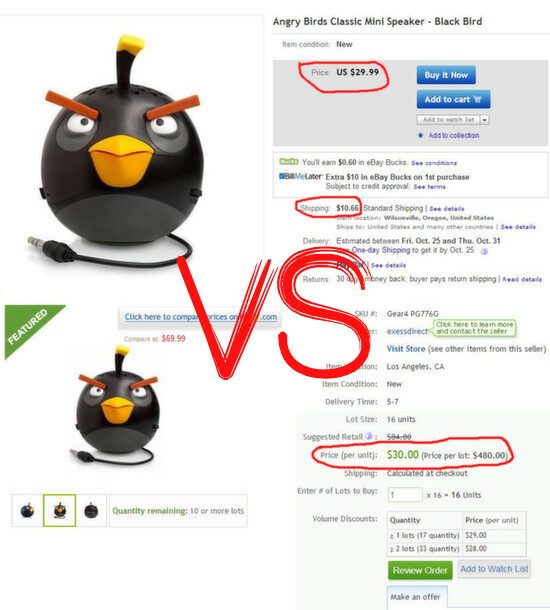 From what I’ve seen so far, the pricing for a lot of the items is around the same as what they’re selling for on eBay. Of course, that’s just the listing price. As I mentioned, you have the ability to barter with the wholesaler to get better pricing. As you can see, the “deals” really aren’t all that great. I’m not sure exactly how flexible the wholesalers are, but in order to get the price on some of these items far down enough to make a decent profit, they are going to have to be REALLY flexible. The site is still in the beginning stages, so when more wholesalers start getting on the site the prices may go down. But I wouldn’t bank on the pricing being any lower than what you can already find on sites like Alibaba or DHgate. I more than likely won’t be using eBay Wholesale Deals, at least not regularly. Unless I come across irresistible deals from highly rated sellers, it just doesn’t seem worth it right now. And I’ll be honest, the fact that there is no Buyer Protection is a really big turn off for me. You also MUST use PayPal for all transactions, but then they don’t even offer PayPal protection. So if you’re going to use the site, I’d advise you to pay for everything with a credit card and NOT funds sitting in your PayPal balance or your bank account. Because otherwise, if something goes wrong with your transaction you’re going to be screwed. Another problem is the increased competition this is going to create for eBay flippers. Once eBay rolls it out to all users, everyone will start buying from the same suppliers and competition will increase on popular items. The end result is a bunch of sellers trying to see who can drop their prices the lowest and still make some kind of profit. If they had some kind of barrier to entry like requiring all buyers to have a reseller ID, then things might be a little different. But as of right now, it’s only optional. I’ll be monitoring to see how the program works out though. One of the upsides I see is that there are some lots that have mixed products and things you won’t see on other “wholesale” sites. Have you used Wholesale Deals yet? If so, how did you like it? Well, I’ve been rummaging through everything wholesale.ebay.com has to offer and I’m finding that there’s not much room for profit, at least with the listing prices…. For example I found some really expensive phone cases ($100) that are selling for $25 each….. but the downside is that they are also selilng on ebay for $25 each for ONE. Next Wholesaler Site please!!! Definitely agree with you. I doubt it will be around for very long because their pricing is nowhere near wholesale prices.